WEST MONROE, La. 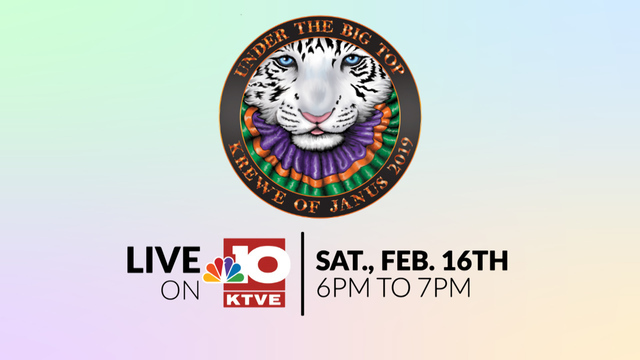 - (2/16/19) Our broadcast of the Krewe of Janus parade starts at 6 p.m.
We are also streaming the parade on myarklamiss.com, the KTVE app, and on our Facebook page. The twin cities' 2019 Mardi Gras parade is this weekend.